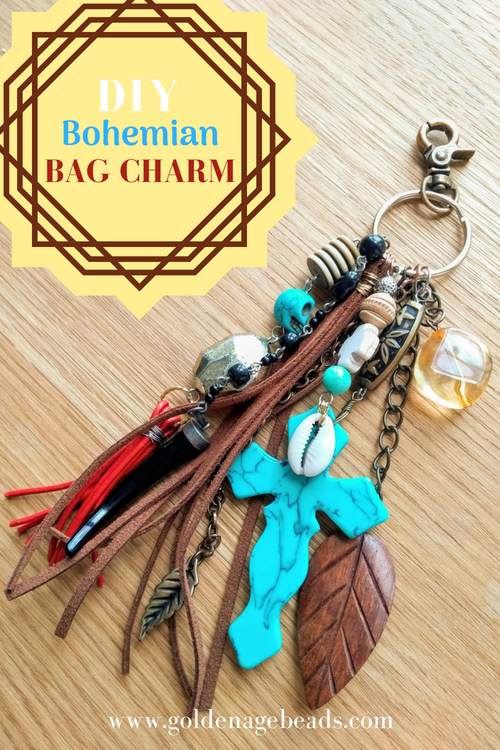 This project is great if you like to upcycle your old or broken jewelry – you can use chains, charms and beads from anywhere to create your own boho bag charm. 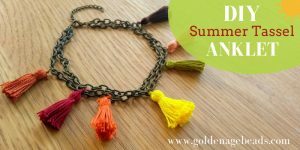 There’s nothing stopping you from going wild with color and creating something to match your favorite handbag, it doesn’t have to be super bohemian if you prefer the girly vibe. 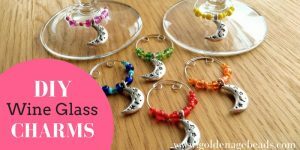 These bag charms would make great gifts for your friends, as you can make them as personalized as possible! 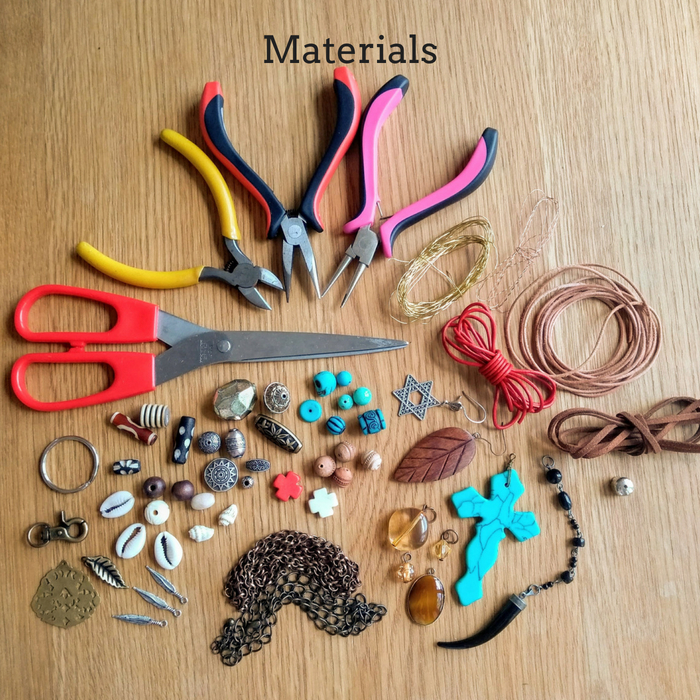 This DIY uses a wide variety of materials, but like we said, don’t worry if you don’t have everything in the list, you can leave it out or substitute it for something else you might have. 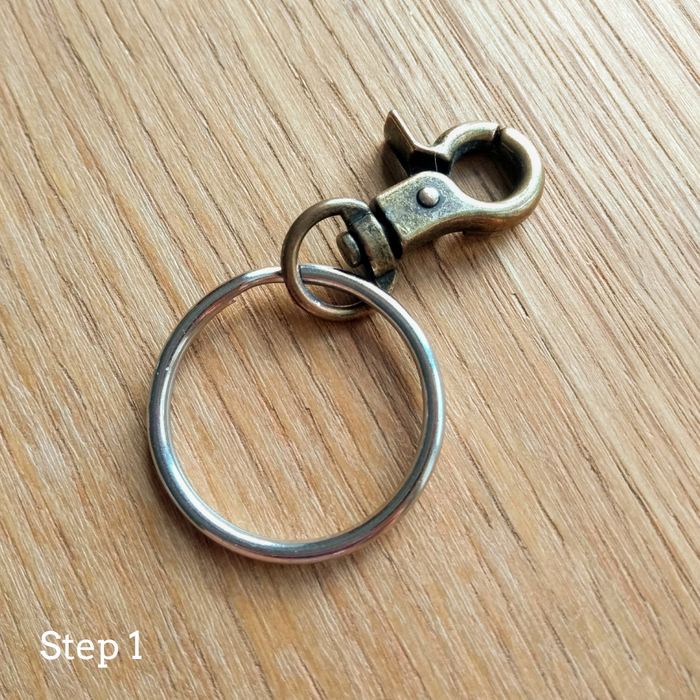 Let’s start simple by attaching your bag clip to your keyring. 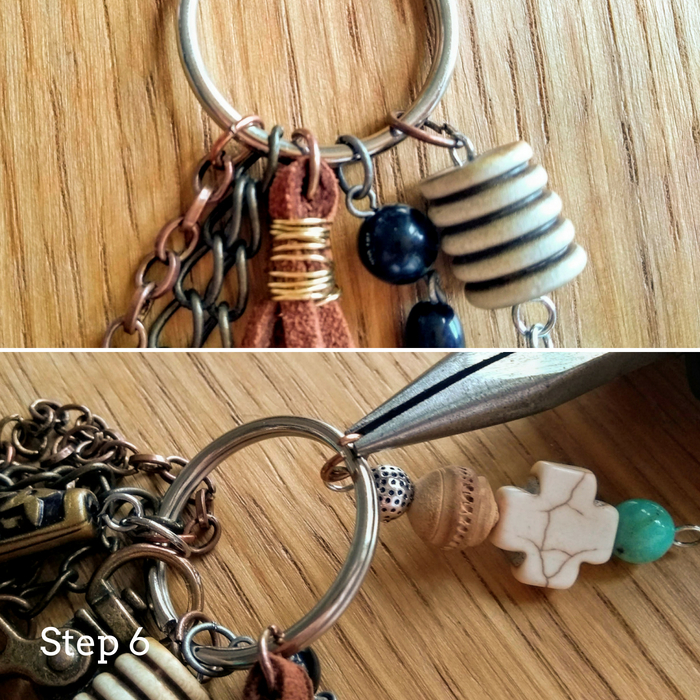 We used varying metal colors to make our bag charm a little more quirky (also, this means it should match more handbags). 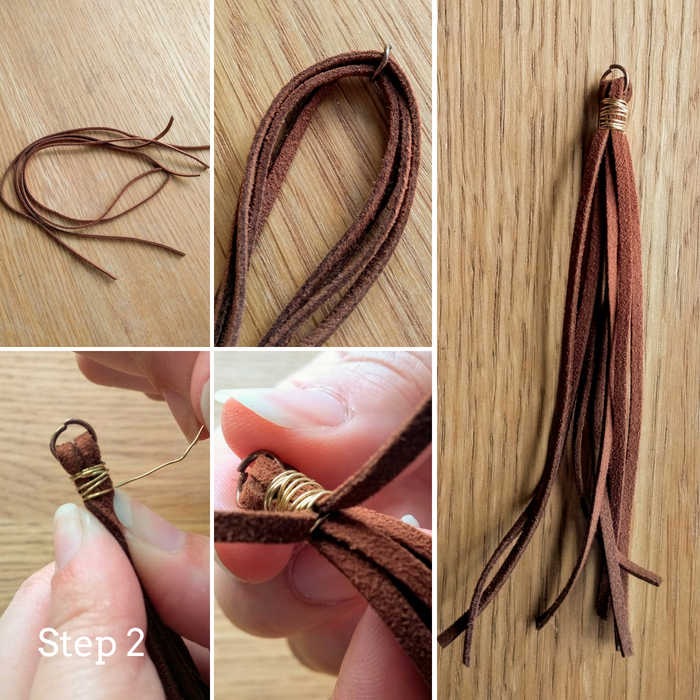 Make a simple leather tassel using flat suedette, a jump ring and some wire – cut 4 equal lengths of your leather and thread through the jump ring before wrapping wire around the top of the tassel. 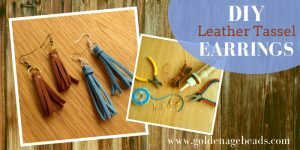 Tuck the end of the wire into the tassel as the ends can be a little sharp and could get caught in clothing. 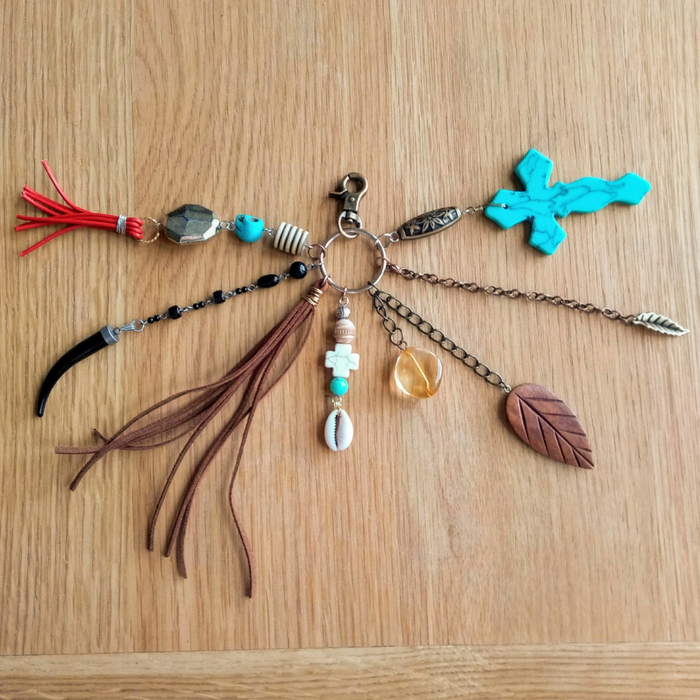 The tassel can be the gauge you use for the length of your bag charm. It’s really handy to create your other drops/sections based on the length of the tassel by laying them out alongside it. 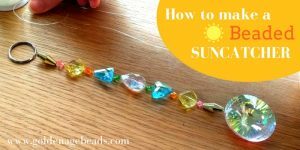 Use chain and charms to make your drops. 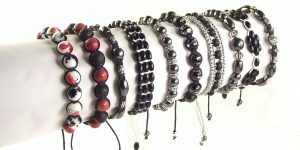 Vary them in length if you feel you want some more depth and fullness to your bag charm. 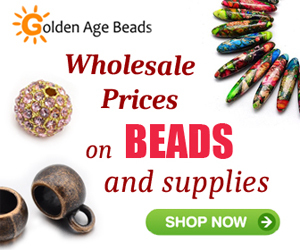 Use a relatively strong wire or post to create a rosary style connector for each bead. This gives the drop some movement and also looks pretty funky. 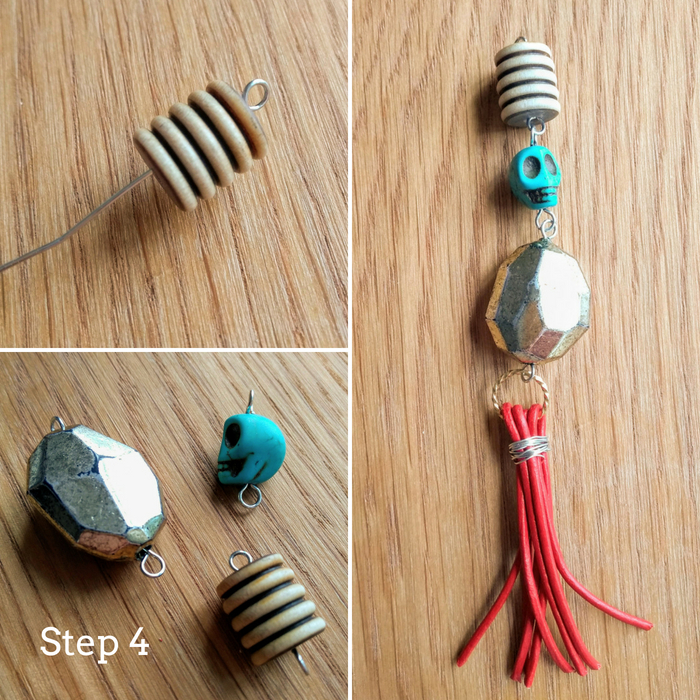 Attach another handmade tassel to the bottom of your beads. 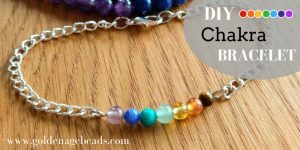 You can put more than one bead onto your post/wire and attach a charm of some sort to the bottom. 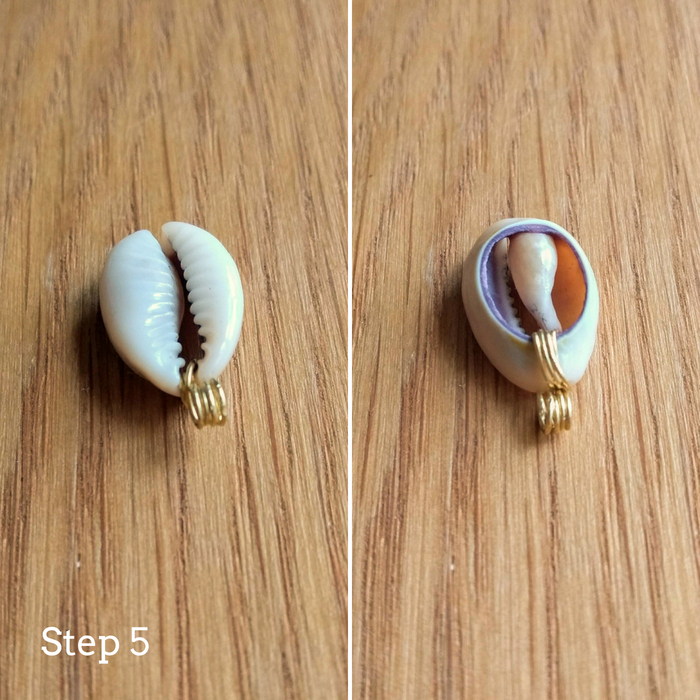 Cowrie shells add a more earthy aspect to your design and they can be easily attached using wire wrapping. 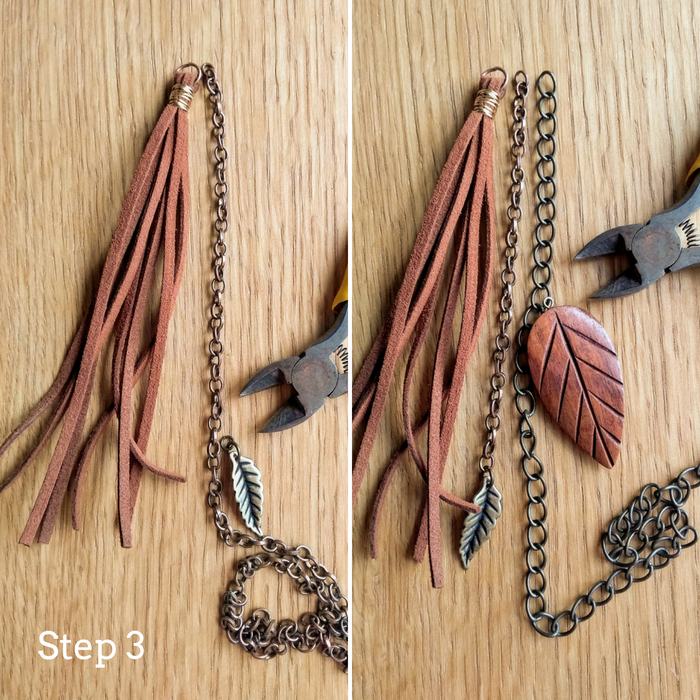 Attach your drops in the order you want them to be on the key ring – you can use jump rings or just slot the chain onto the key ring. 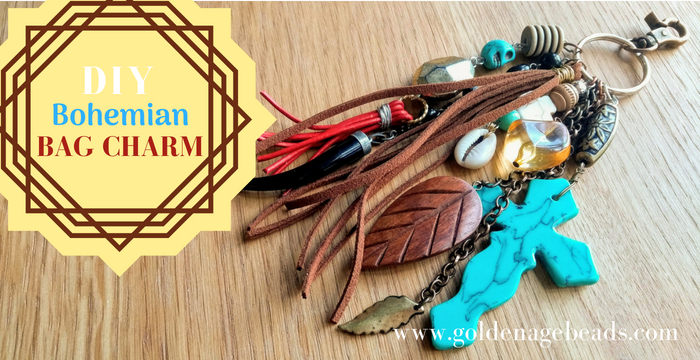 And then you can admire your awesome new handmade bag charm! We hope you’re feeling inspired after reading this and we’d love to see your own creations, so tag us on our socials!